Whenever I’ve painted portraits of actors, it’s been a character I like from a movie, rather than a portrait of the person playing the part. This one is an exception. There was a lot of hype surrounding the movie Bird Box, mostly because the media reported that some were mimicking the characters and doing silly things while blindfolded. Despite hearing some negative reviews, I guess the gimmick worked well on me, because I gave it a chance while drawing one evening. 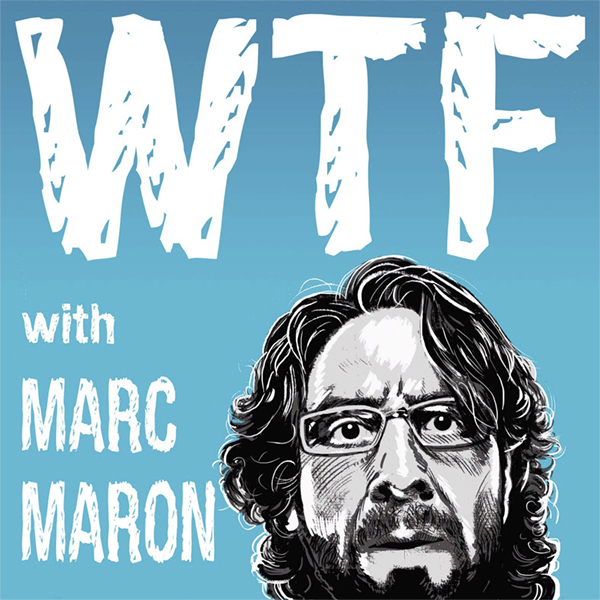 I didn’t find the movie terrible, but it’s not one I’d rush to watch again. It struck me as a poor man’s copy of A Quiet Place, but it was certainly watchable and I didn’t count it a waste of my time. A shame that the characters were forgettable, however, since it featured accomplished actors. 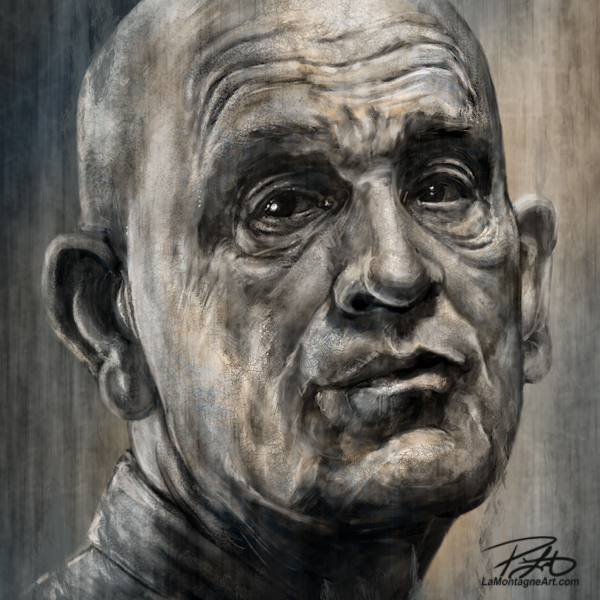 One of those, in a supporting role, was John Malkovich, an actor I’ve always liked and admired. As often happens when I paint movie characters, it wasn’t something I had planned in advance. 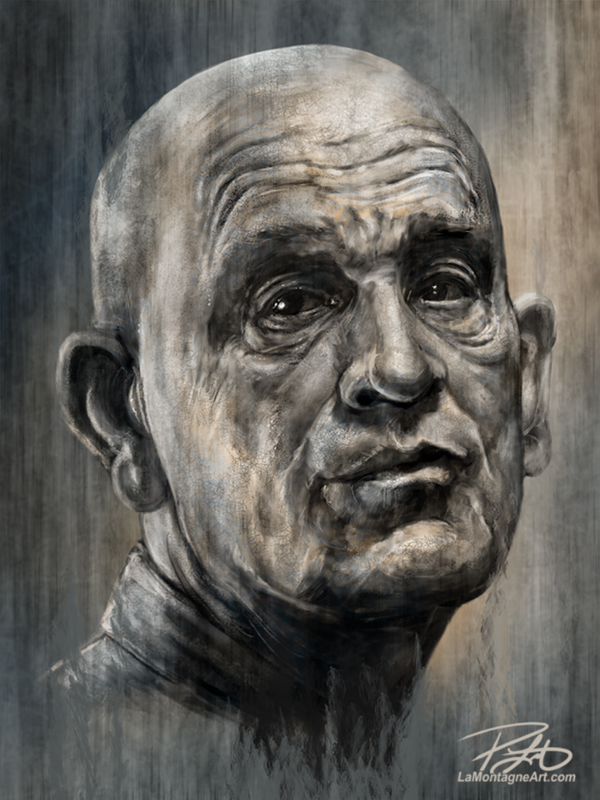 There was a scene where Malkovich turned and it struck me that I wanted to paint him from that moment. The light, the composition, his expression, who knows? 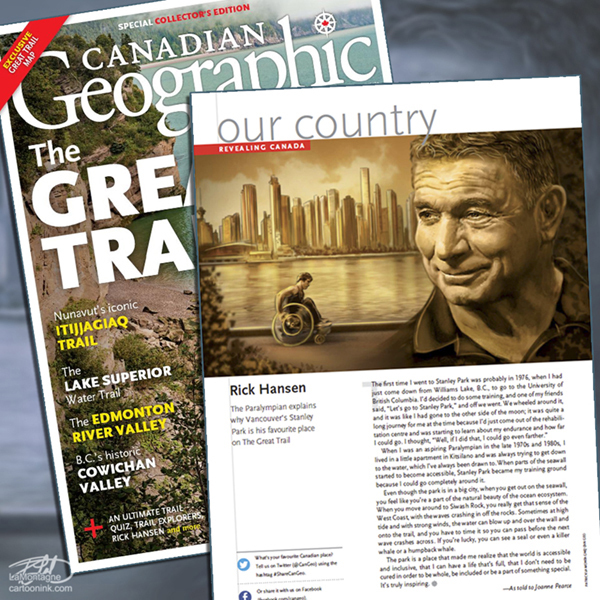 Aside from one commission last year from Canadian Geographic Magazine, where I was tasked with painting Rick Hansen, I paint portraits of people for my own enjoyment, to challenge and improve my skills. A couple have attracted attention after I posted them on Twitter years ago, most notably Martin Sheen and Canadian astronaut Chris Hadfield, but I don’t ever expect the subject will see the portraits I paint of them. Now that I’m off social media entirely, there’s no incentive to tag them or add a dozen hashtags, which I think is a good thing. It takes away the pressure for likes and shares and leaves me free to paint how I like without wondering how it will be received. 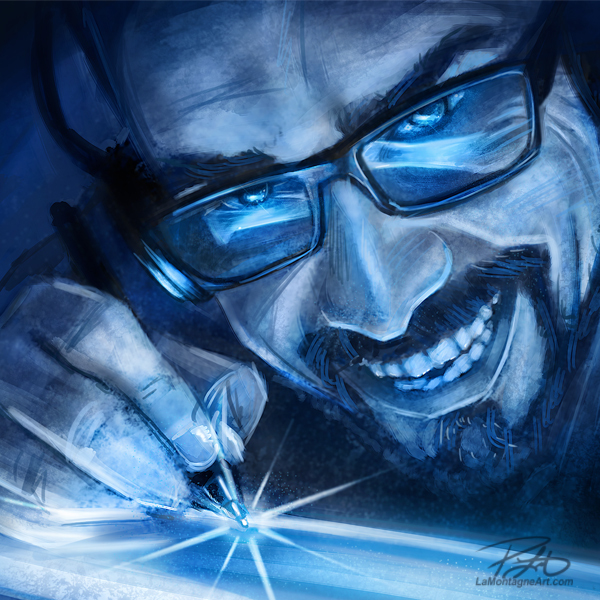 I started this on the iPad Pro in the procreate app, then brought it to my desktop and painted the second half in Photoshop on my Wacom Cintiq 24HD display. 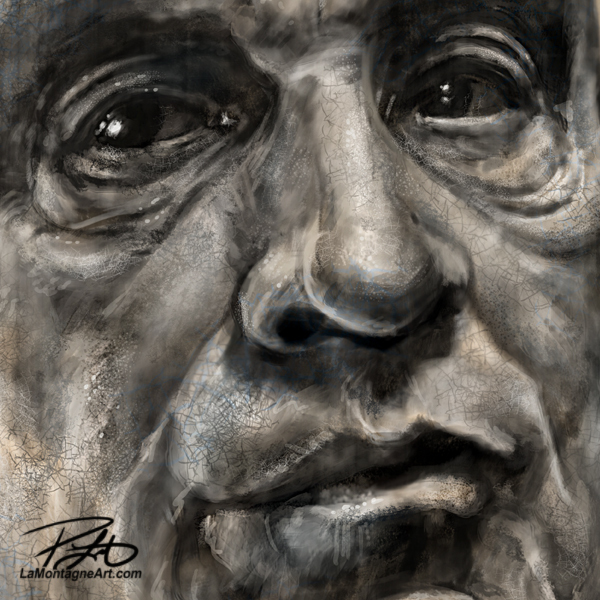 The brushwork was initially a lot smoother while I nitpicked the details to get the likeness right, but in the final couple hours, I added layers of texture and grunge to rough it up. Seems to better fit the character and feel of the movie. There are some other portraits I expect to paint this year, but for now, it’s back to the funny looking animals.